Sony had announced its new lineup of smartphones at IFA 2017 in Berlin earlier this month. And the company is wasting no time in launching some of those devices in India. The Sony Xperia XZ1, the flagship amongst the three phones launched at IFA, has been launched in India. 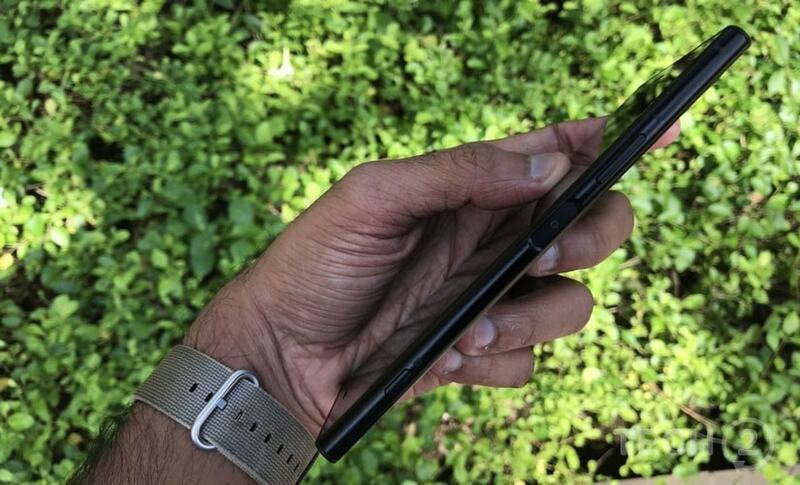 The phone will be selling at Rs 44,990 from 25 September onwards. The phone made waves at IFA as it is the only smartphone launching with Android Oreo out of the box. Among the non-Google devices, this is a first. But unlike the Pixel phones, the Android Oreo on the Xperia XZ1 will come with the Sony Xperia skin atop it. Post the event I got to spend some time with the device and here are my first impressions of the Xperia XZ1. When it comes to Sony flagship designs, we haven't seen changes since many years now. It's like Sony has decided that it will just keep adding finesse to its rectangular design. While there's nothing wrong with that, one has to keep in mind that its competition — Samsung, LG, HTC and the many Chinese smartphone makers, are trying a newer design language with every succeeding generation. Sony's approach, when one looks at this landscape, looks definitely dated. You get the Xperia XZ1 inside a metal unibody loop surface design which feels sturdy. The edges are rounded and you barely see any sort of interruption in the unibody design as it wraps the rear side. I liked how the antenna design has been implemented. Instead of having two horizontal bands run on the rear side, Sony has added two U-shaped antenna lines on either sides on the top edge and on the bottom left-hand edge. It looks interesting. Other design elements are pretty much in line with what we have come to expect with Sony Xperia phones over the ages. The fingerprint scanner is on the power/standby button, which is placed in the centre of the right-hand edge. On the top of the power button, you have the volume rocker button whereas towards the base on the right-hand edge is a dedicated camera shutter button. The left-hand edge has the hybrid dual SIM card tray. Removing the first nano-SIM card tray requires sharp nails or tweezers. 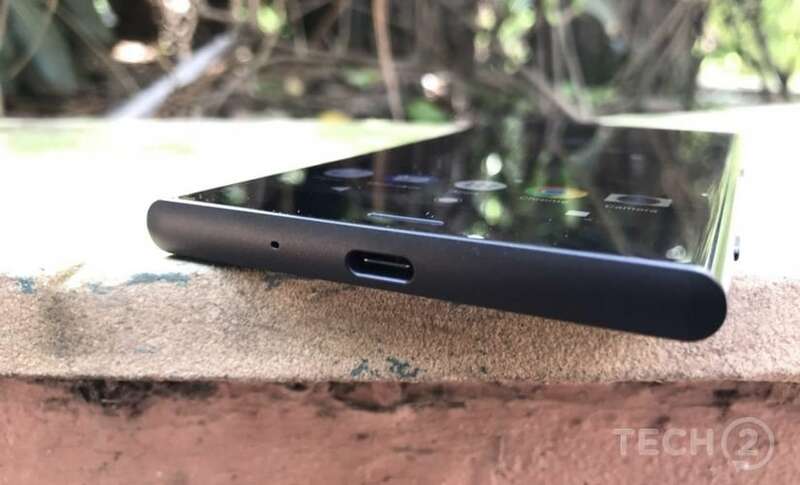 The base houses the USB Type-C port and the 3.5 mm audio jack is present on the top. The front has the 5.2-inch display, which is protected by Corning Gorilla Glass 5. The thick bezels on the top and bottom again look out of vogue in an era of the Samsung Galaxy S8 and LG V30 and so on. 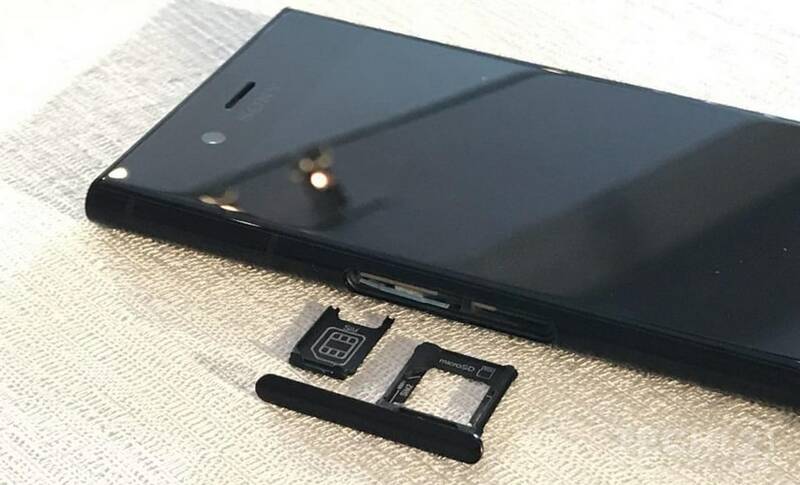 On the rear, you have the Xperia branding in the centre and the camera module on the top left-hand corner. The 19 MP camera does protrude out of the plane of the body. Sony Xperia XZ1 comes with a 5.2-inch Full HD display with HDR support. It comes with Sony’s Trilumous display. The LCD, though reflective, ensures that things are sharp. I could barely see any pixelation on text or app icons. Sunlight readability was good in the limited time I spent with the device outdoors. But there are other factors still to be tested, such as the gaming and video viewing experience. But I don’t think there will be any issues on that front, going by the first impressions. 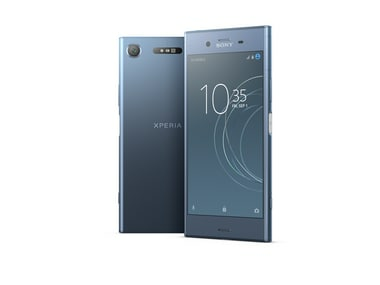 Considering this is Sony’s flagship device, the Xperia XZ1 comes with a Qualcomm Snapdragon 835 chipset which comes with a quad-core Kryo cluster clocked at 2.35 GHz and the other quad-core cluster clocked at 1.9 GHz. This is supported by Adreno 540 GPU. This is paired with 4 GB RAM and 64 GB of storage which is expandable to 256 GB using a microSD card. You will have to sacrifice one nano-SIM card slot in case you want to use external storage. The highlight of the Sony Xperia XZ1 is the fact that it comes with Android 8.0 Oreo out of the box. At a time when other smartphone makers are promising Oreo updates ‘soon’, Sony already has that aspect covered. However, do not expect a clean Android Oreo OS, as it comes with the Sony Xperia skin atop it. We need to thoroughly review it to try out the different Oreo features incorporated in the XZ1. 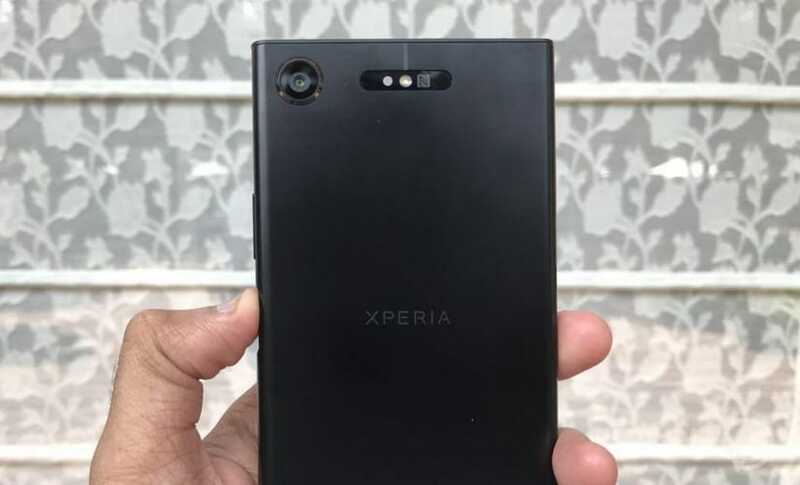 The camera is the highlight of the Sony Xperia XZ1, and that is kind of expected from Sony whose image sensors are seen on most smartphones. On the front, you have a 13 MP camera with a 1/3.06-inch Exmor RS image sensor. The front camera lens has a f/2.0 aperture. 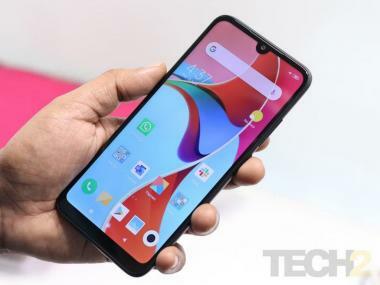 On the rear, you get a 19 MP Motion eye camera, which has a 1/2.3-inch Exmor RS sensor and a pixel size of 1.22 microns. It is supported by a 25 mm wide, f/2.0 lens along with the Sony BIONZ image processor. The camera sensor houses a bit of cache memory which lets Sony achieve a slo-mo frame rate of 960 fps. Sony has employed the camera to do additional functions on the XZ1. The major feature that Sony spoke at length is the 3D Creator app which lets you create 3D scans of faces, head scans, object scans and food scans. The process involves following the dots on the 3D Creator app, which ensure that all the areas of the subject are scanned. You can then render and even send these 3D scans for 3D printing. Getting a right 3D scan is a learning process for sure, and it is time-consuming if you want to get that perfect scan. Also, with head scanning, while the likeness is surely there, the 3D depth mapping isn’t that accurate. My 3D face scan looks like those graphics from the early 2000s games. But Sony says that you can use your 3D face scans and overlay them on game characters, which sounds like an interesting application. The other feature Sony spoke about with regards to the camera was the Autofocus burst, which tracks and captures a sequence of moving the object in focus — for instance fidgety pets, excited babies and so on — to prevent blurred action shots. You can either choose the best image from the burst or actually combine all the images to form a GIF animation. It is capable of shooting at the rate of 10 fps in the Autofocus burst mode, and you have to hold down on the shutter button. The third feature is the Smile Predictive Capture, which starts buffering images as soon as the camera detects actions or smiles so that instead of one shot, you have a series of four images from which you can select the best shot. The camera has a lot going on and we will have to test it in detail to get an idea of how all the features perform in the real world scenario. The Sony Xperia XZ1 comes with a 2,700 mAh battery. When compared with other flagship phones, the battery capacity seems to be on the lesser side, as 3,000 mAh has become pretty much standard on this class of devices. 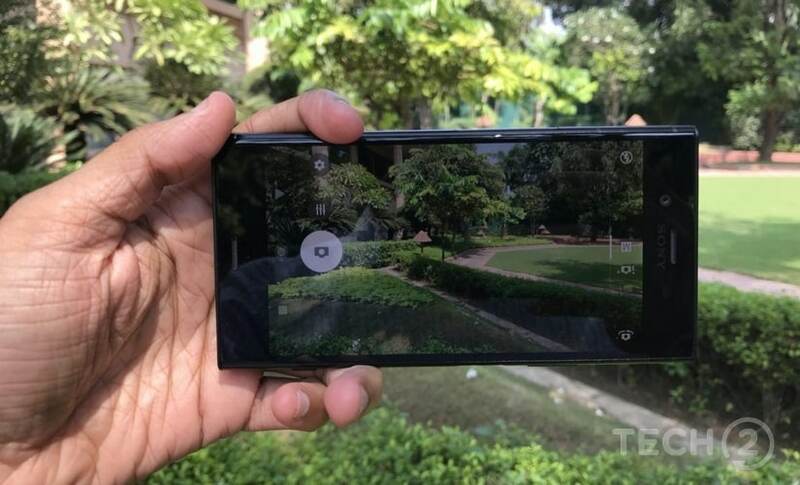 Not to mention, with the XZ1 having features such as 3D Creator, autofocus burst, support for HDR video, that could take a hit on the battery life. We will have to test the phone thoroughly to see how the battery holds up. It will come with QuickCharge 3.0 support and Sony will be bundling the Quick Charger UCH-12. 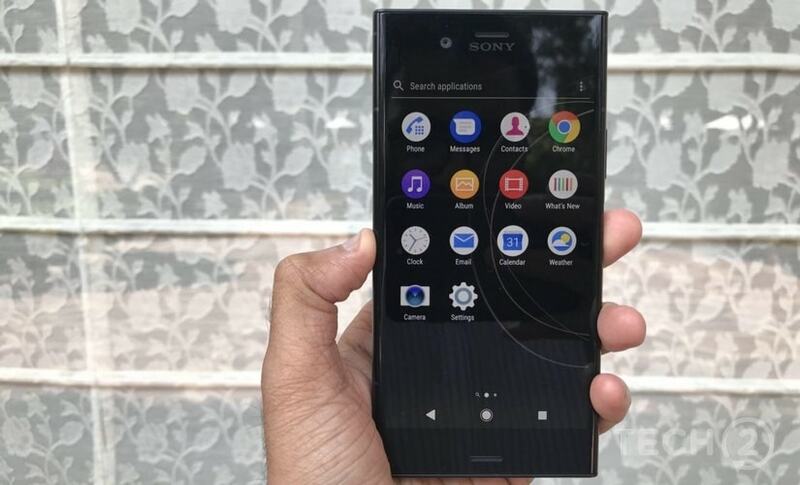 Sony has delivered the flagship XZ1 with an impressive feature set at a relatively competitive price of Rs 44,990. This is important as Sony flagship devices have been known to be priced excessively when compared to competition. But with this generation's flagships costing over Rs 60,000, it is a relief to see Sony at a sub-Rs 50k price point. This is a first non-Google phone which will come with Android 8.0 Oreo out of the box. Sony has also bypassed the dual camera setup (a trend that is fast catching up these days) and is instead betting big on the 3D scanning feature on its camera. This is a huge bet and whether it pays off is something only time will tell. The technology making this possible can lead to a lot of future-looking applications, one of them being overlaying your 3D heads can atop a favourite gaming character as you play that game. We will be reviewing the device soon and we will look at each of the camera features promises to see if you should invest in the Xperia XZ1. Check back for the full review soon.